Use just three fabrics to make this stunning quilt from our Mystery series. It's made of simple elements, and can be made in three sizes: Wall, Throw, and Queen. 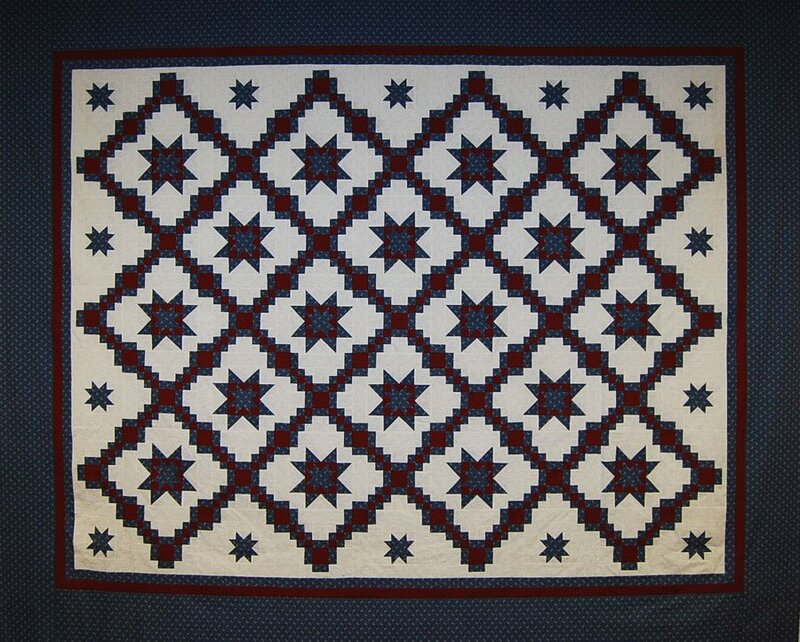 This lovely traditional pattern was our Fall 2013 Mystery Quilt. Judy used two Studio 180 rulers for additional speed and accuracy. You'll need to make sure you have good contrast between the three fabrics you use for optimum Wow! The instructions can be used to make three sizes: Wall, Throw, and Queen. Additionally, Judy has included her instructions to make the Perfect Nine-Patch, an important element in this quilt. Click here for information regarding yardage requirements and fabric selection.